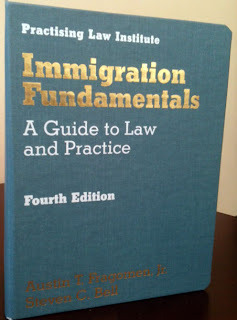 This concise, one volume treatise serves as a useful guide for any practitioner on immigration legal standards and procedures. With the most recent November 2012 update, the authors have fully incorporated all final rules and procedures resulting from the Immigration Act of 1990, the most comprehensive revision of the nation's immigration laws since the enactment of the Immigration and Nationality Act of 1952. Also covered are nonimmigrant status, employment of aliens, refugees and asylum, administrative and judicial review, and naturalization and citizenship. Commentaries throughout the treatise are especially useful in providing practice tips and amplifying information. Also included is an extensive list of annotated immigration forms as well as a table of cases and index.